Kurt Rosenwinkel, virtuosic jazz guitarist and composer, plays at the Bassment during the Jazz Festival on June 27. 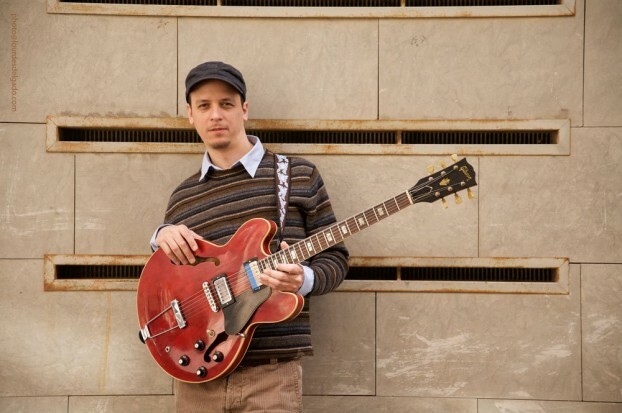 After a week of missing each other and failing to sync up a Skype conversation between Saskatoon and Berlin, I finally managed to pin down the enormously talented jazz guitarist and composer Kurt Rosenwinkel for what I imagined would be a voice call. Instead I found myself instant messaging with the Berlin-based American musician, 42, about his relationship with music, his methods of composition, and the meaning of life, the universe, and everything. The following instant message chat excerpts have been edited and formatted for readability. The Pickup: I’ve been listening to Star of Jupiter this morning and reading the bio on your site … It starts off with some pretty heavy discussion about your relationship with the universe and how you tap into that through your music. How does music — playing, composing — help you relate to or understand the universe or the cosmos? And how’s that for a big question to start off with? No lowballs from this guy. Rosenwinkel: Aoyshhh, that is big. Music is like a doorway or a launchpad, and through it you can travel, like astral travelling. [There’s] lots of cosmic space there — celestial panoramas, and interscapes. Have you always felt that way about music since you were a kid, or is that a feeling you’ve developed as you’ve become more adept at playing and composing? Music has always been connected to the imagination for me. As a kid it became my fantasy of choice. As I grew more mature I realized that it is never ending and the lessons that you learn through music are the best ones for life in general. Do you expect or hope people to travel with you through that fantasy space by listening to your music, feeling and seeing what you have, or is that too much to ask of all listeners? No, I don’t expect or hope for anyone to share my personal feelings about the music. That’s what is so beautiful about it, everyone has their own narrative and feelings attached to it, and it becomes theirs … their music. So does your kind of deeper relationship with and perspective on music allow you to tap into sounds on our guitar while playing — or in your compositions — that are completely unique to you? Is that where your “sound” comes from, or are you regularly influenced by other people/things, too? And sort of in the same vein: what’s your creative process like [while composing]? Sitting back with your guitar and just letting the music flow out? Or is it more of an academic, pen and paper kind of deal? It’s easy to answer those questions because you are right the first time in both, but I will elaborate a little. In music I feel moods, and I hear the kinds of sounds in my head that evoke those moods, whether it’s the sound of the guitar or the way a piece moves and is balanced. So I meditate on that in my imagination and I visualize what that would sound like. Then I get ideas for how to evolve as a guitarist to get closer to those sounds. For example, that could mean striving to attain higher technical abilities. It could mean training myself to achieve a certain kind of mental balance while playing. It could mean investigating ways of changing the sound through looking at the instrument in new ways, technically or equipment-wise, etc. And then compositionally I just sit down and things come out. Sometimes I let them go and sometimes I write them down. If I write it down maybe I will continue right then to finish it as a song. Other times it fades away and I forget it. Still other times it remains a fragment that can stay with me like one of those things in your eye for years and years, until I discover the next section and then breathe a sigh of relief. Last two questions for you. What are your jamming habits like? How often do you find time to play music for yourself, maybe even aimlessly (if there even is such a thing)? Just chill out, pick up the guitar and play for yourself, maybe jam with friends. That’s a really good question, because it touches on something that I think does happen to musicians as they get older. Maybe they get too “professional” and there’s no fun in it anymore. Maybe they start to see it as their “job.” I think its important to maintain that casual atmosphere of playing for the fun of it, just kicking around with a guitar. That said, I am most intensely working on things downstairs in my studio. I have too much music that needs to be shepherded through … sometimes its hard to relax in that casual way because theres so much on the operating table all the time. What’s the most important project you’re working on right now? New album in the works, or group that you’re playing with? I am working on my solo album right now, and that is an interruption of another album I am working hard on called “Caipi,” which [I would describe as] kind of like a Brazilian “Heartcore II.” That one is in its last phases. Then theres an album of, for lack of a better term, “rock” songs, songs I sing with lyrics, that I am [also] in the middle of. That’s all in between touring and doing my school and seeing my two boys and living.